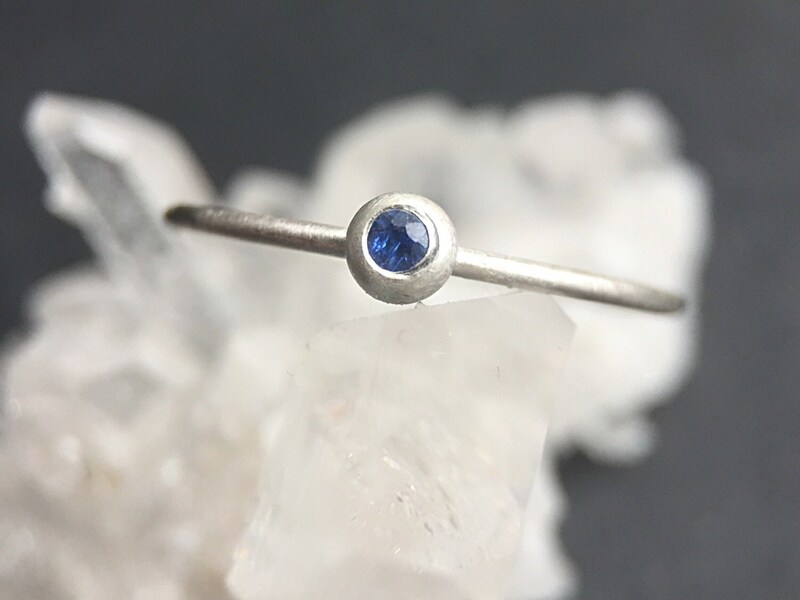 Dainty and sweet, this sterling silver ring has the cutest little pebble of recycled silver on top with a natural blue sapphire embedded inside. 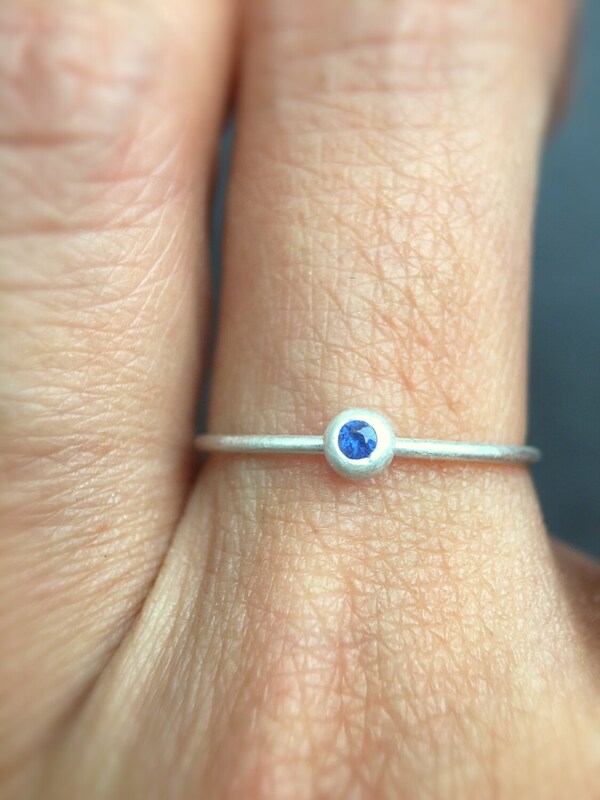 Sapphire measures 2mm and gold pebble is 3.5mm. Ring shank measures 1mm thick. Ring is in matte finish. 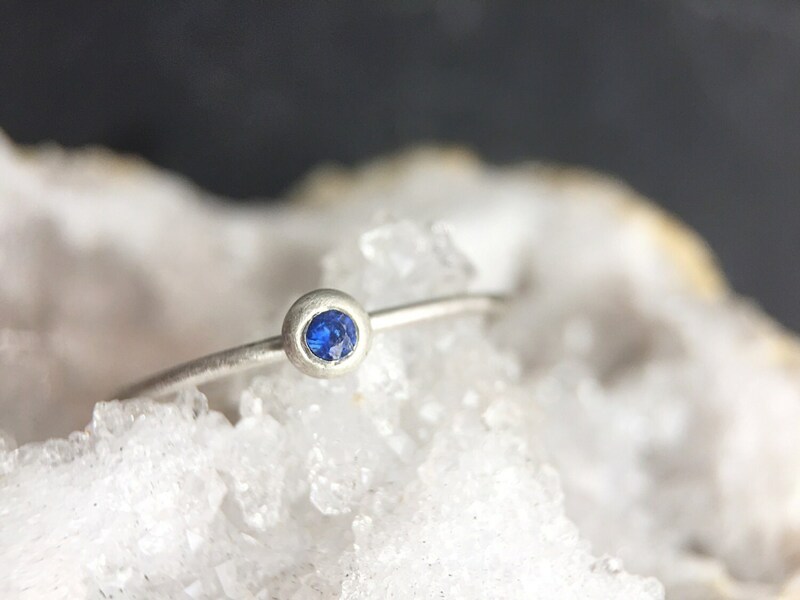 Perfect for stacking or wear it alone. 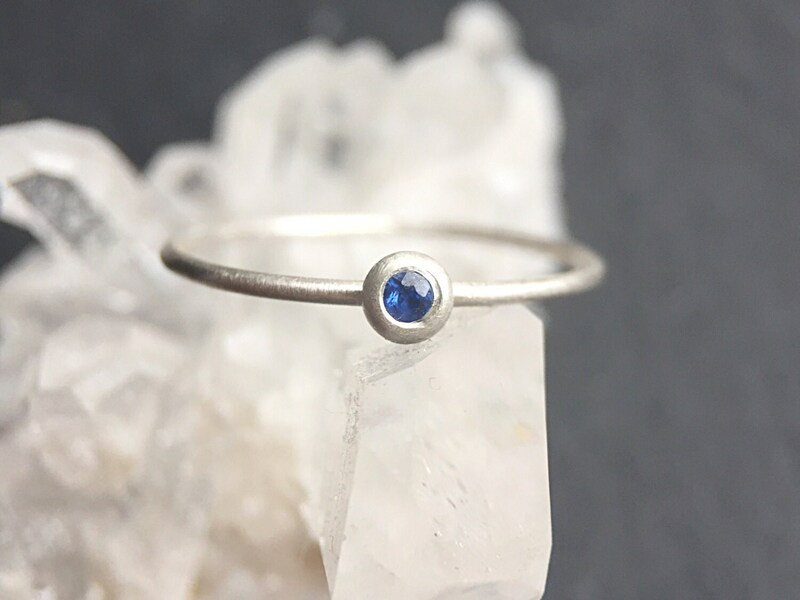 Can be worn as a pinky ring. Each one is unique and handmade by me in my NYC studio. Part of the Pebble Collection. Also available in 14 karat rose gold with Ruby.